In loving memory of a dear wife and mother. Catherine Clark died 8th August 1961 aged 68. 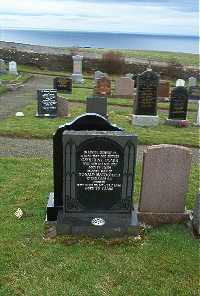 Husband Donald Macdonald of Lybster died 1st July 1965 aged 78.